Guided nature walks at Anderson Marsh State Historic Park provide an opportunity to observe wildlife in their natural habitat and learn about the natural and cultural history of the area. The Park is located at the southeast corner of Clear Lake, at the formation of Cache Creek, on Hwy 53 between the Cities of Lower Lake and Clearlake, in Lake County, California. Clear Lake is the largest natural lake wholly within the borders of California. 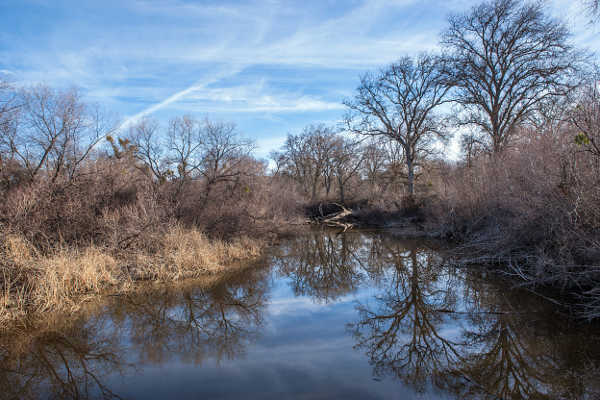 Consisting of 1065 acres, the Park includes 540 acres of mainly aquatic tule marsh classified as a Natural Preserve that provides valuable wildlife habitat and one of the largest Great Blue Heron Rookeries on Clear Lake. The Park contains archeological sites of the Southeastern Pomo that are at least 10,000 years old, as well as a 19th Century Ranch House and Barn complex built by the first European settlers on the land. There are hiking and boating trails that allow the visitor to experience several protected habitats within the Park, including freshwater marsh, oak woodland, grasslands and riparian woodland. Click for more information about Anderson Marsh State Historic Park. 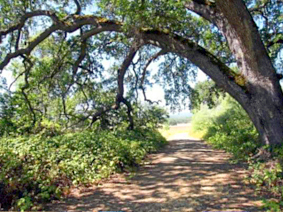 Anderson Marsh Interpretive Association (AMIA) was formed in 1984, after the State of California acquired the Park in 1982. The primary objective of the Association has been to promote educational and interpretive activities at Anderson Marsh State Historic Park. AMIA has played an important role in funding projects that the state would otherwise be unable to provide. These have included conservatory work, construction, trail work, interpretive displays, rehabilitation of facilities and historic objects, purchasing interpretive items, acquiring furnishings and providing literature and other interpretive information. Through the years, AMIA has helped to educate the public about the special and unique place now called Anderson Marsh State Historic Park. In 2012, when budget cuts threatened closure of Anderson Marsh State Historic Park, AMIA entered into a new role when it joined State Parks in a Partnership Agreement that insured that the Park remained up to the public. 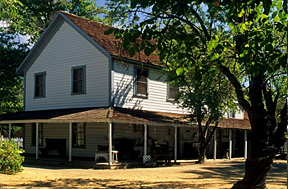 Now, in the face of continuing budget shortfalls AMIA has entered into a new Partnership with State Parks that will insure that the historic Anderson Ranch House will be properly maintained and will be open for public tours. See our Facebook page for up-to-date news about AMIA and happenings at Anderson Marsh State Historic Park.. Copyright © Anderson Marsh Interpretive Association. All rights reserved.